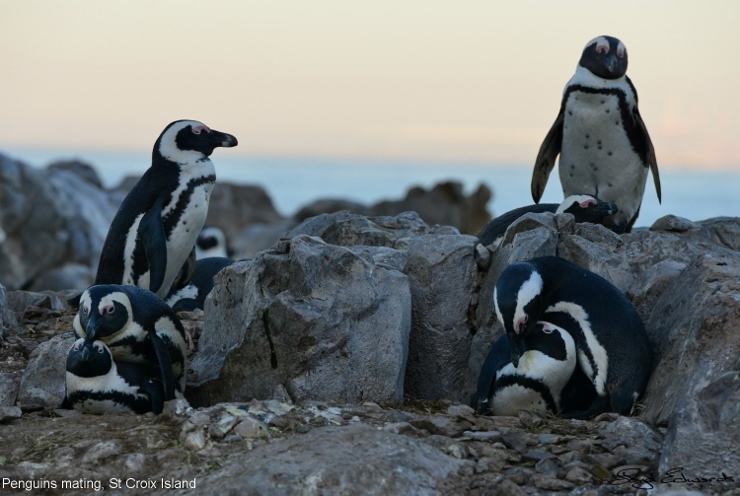 So March 2014 started off looking like a good breeding season for our African penguins on the largest colony on the planet at St Croix Island, Algoa Bay. By April this was not looking rosy and many nests had been abandoned as parents struggled to find the ever diminishing number of anchovies and sardines for their ravenous chicks. 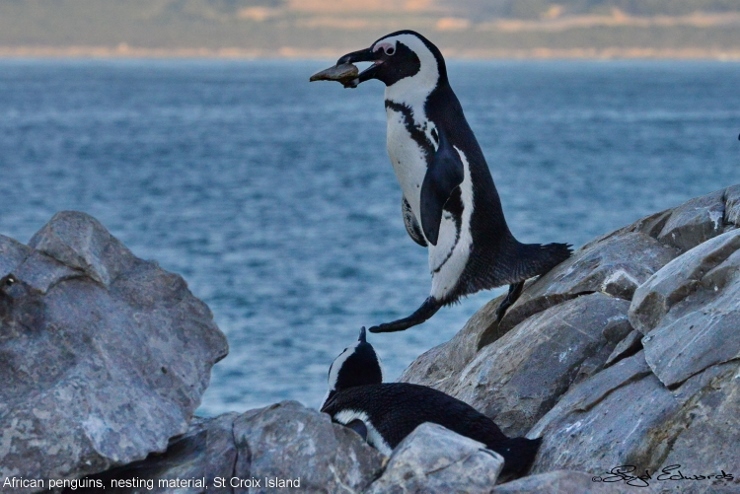 This was probably a combination of bad environmental conditions in Algoa Bay this year and a resumption of purse seine fishing around the breeding island. It's quite depressing to see month old chicks dead or near dying all over the island. 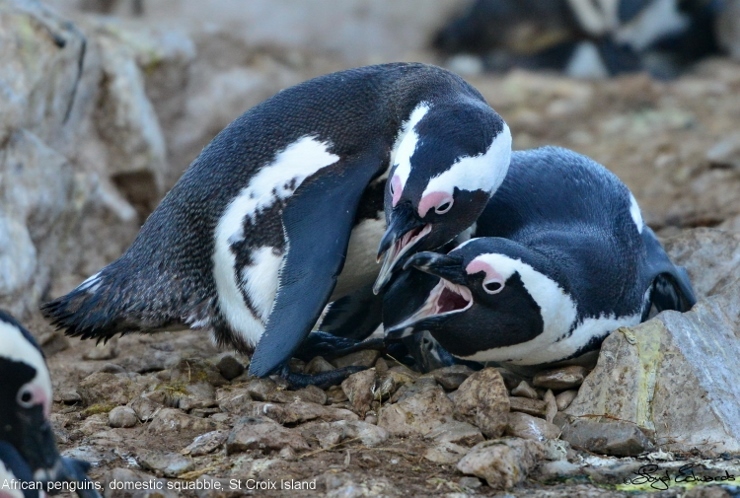 By May most of the penguin pairs had started a second breeding season, so lets hope that this one fares better than the last. 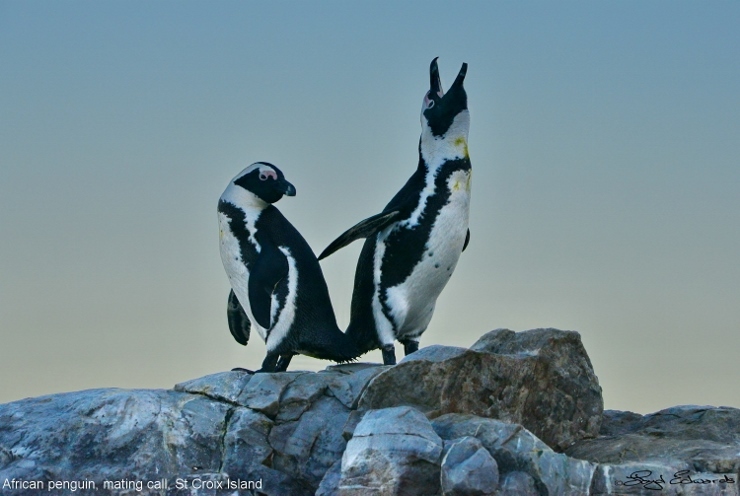 As can be seen in the attached photos the breeding process starts with some loud braying by the males. 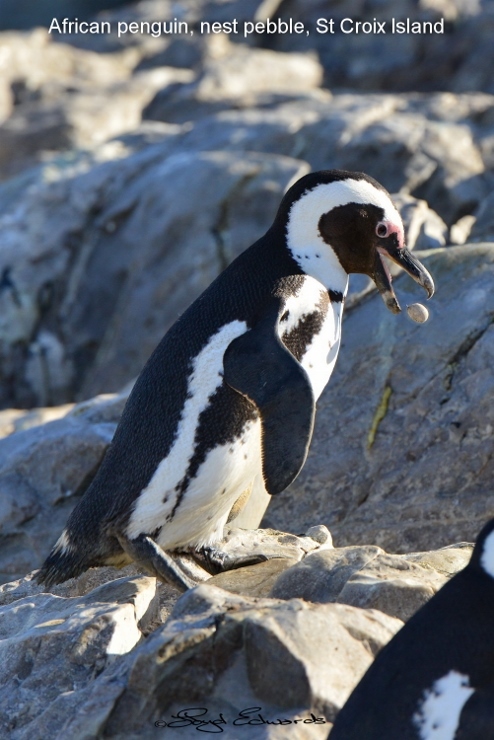 Its sounds very much like a donkey and hence the old name of Jackass penguin. This is followed by "foreplay' where old bonds are strengthened again and the process of procreation gets underway. 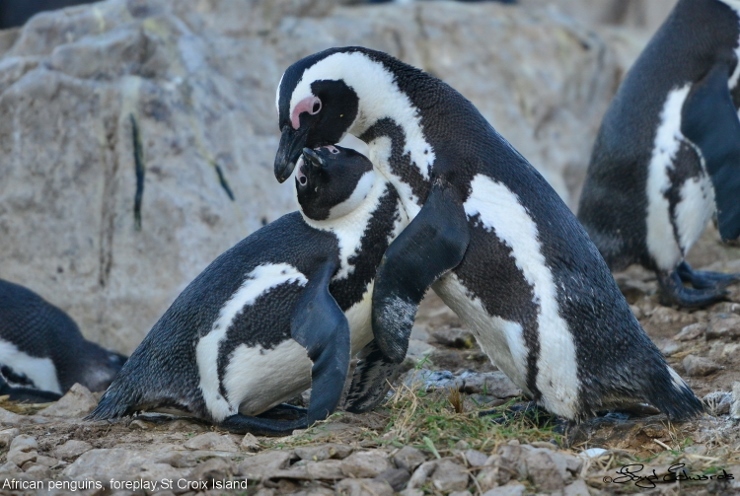 After a few squabbles they get down to the serious business of mating. While they seem ever so clumsy on land, they seem to pull this off without a hitch. While the female finds a suitable nesting site the male sets off in search of nesting material. Pebbles abound on the island as well as old bones and an assortment of other discarded items. He diligently brings back enough material until the female is suitably impressed. 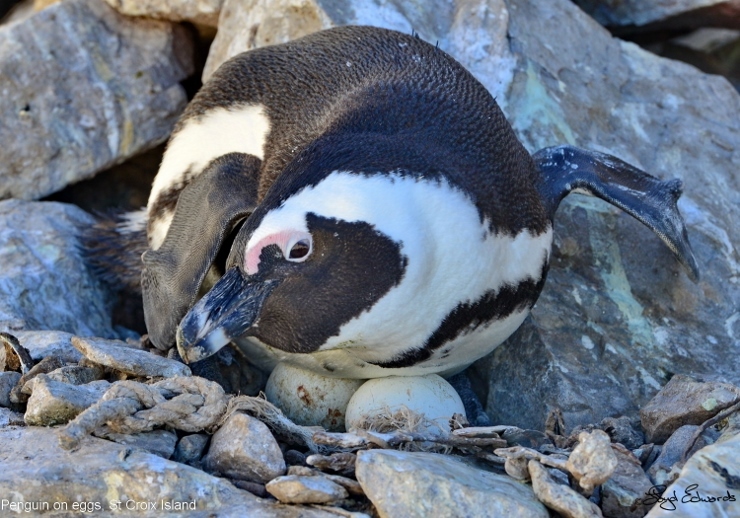 About 28 days after mating between one and three eggs are laid which are then incubated for a further 40 days. We will be updating you again with another article on the rearing of chicks.